Mental health wellbeing is increasingly becoming an issue in the workplace, but new research reveals that there are some sectors in which it is more of a concern as it impacts people’s ability to function at work. 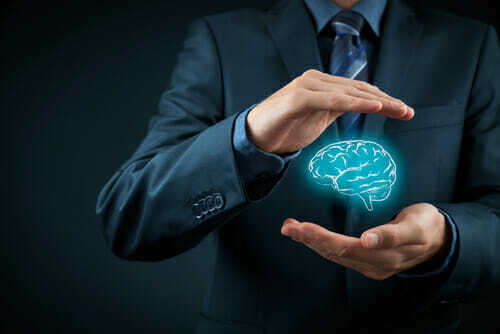 The study, which was conducted by Salary Finance, a salary-linked employee benefits provider that partners with employers to deliver financial wellbeing for staff, found that almost three quarters (72%) of British workers have experienced mental health issues at some point in the past. On average, British workers took 2.1 days off work in 2018 due to poor mental health. However, in reality, this is just the tip of the iceberg. The research also found that Brits went into work for an additional 12.1 days despite struggling. In total, the average British worker suffered with mental health problems for three working weeks (14.2 working days) in 2018. According to the findings, IT workers took the most mental health sick days (10.8) in 2018, and those working in science and pharmaceuticals took the least (0). Those working in recruitment and HR were most likely to suffer from mental health issues overall, and energy and utilities were least. Recruitment and HR professionals were most likely to suffer from stress, whereas social care workers were most likely to suffer from anxiety and depression. On the other hand, people working in the environment and agriculture sectors struggled with loneliness and SAD the most out of all of the industries. People working in law enforcement and security were most likely to lie to their line manager if they were struggling. Interestingly, job level does not necessarily correlate to mental health, with a spread of issues across all levels. However, the level may determine how comfortable people feel taking time off. For example, those at senior director level took the most days off work last year due to poor mental health (21.5), and those at the supervisor level took the least (1.6). The survey also found that CEOs are more likely to suffer from stress than any other mental health issue, followed by anxiety and then depression. Salary Finance’s research also revealed that 26% would lie to their line manager if they were struggling. Most workers admitted that they feel “uncomfortable” talking about mental health at work and did not want to tell anybody if they were struggling. 10% felt “worried” that opening up might hold them back in their career. On a more positive note, 47% of British workers would be honest with their line manager about their mental health, and a quarter of workers feel “supported” and trust that their line manager would help them with a problem. Forty-one per cent of workers have been open and honest with their line managers about their mental health before, and when they were, the majority (68%) of line managers and companies responded well and supported the employee. Fifty-seven per cent of line managers and HR professionals that were polled had received training through their employer on how to assist employees with mental health, and many have noticed an increase in the number of colleagues who are coming to HR with mental health issues in recent years. Asesh Sarkar, CEO and co-founder at Salary Finance, commented on the findings:“Being open about mental health in the workplace is important. While there are many positives to be taken from our research, it also shows that we still have a way to go. “For example, people feel more comfortable talking about having stomach upsets than mental health – illustrating there still is a stigma attached. “Mental health in the workplace is not an issue designated to one type of person – it is prevalent across all demographics, as well as job sector and job levels.